Recently overhauled in 2019, Navigator of the Seas boasts an unrivaled suite of Royal Amplified amenities geared toward families and active travelers looking for nonstop fun on board. The latest Navigator of the Seas refurbishments added new dining options, Instagram-worthy nightlife, and a host of family-friendly activities, including miniature golf, an ice-skating rink, and Battle for Planet Z laser tag. And on the top deck, Royal Caribbean transformed the main pool into a resort-style oasis with two completely new water features: Soar over the edge of the deck headfirst on the transparent Riptide mat racer, or set a new personal best on the Blaster aqua coaster. Royal Caribbean has also upped its dining and nightlife game on Navigator by adding several party zones aimed at young and young-at-heart cruisers. Discover exciting international flavors at El Loco Fresh, or shake up an original cocktail at the poolside Lime and Coconut bar. Other additions include Hooked Seafood with classic New England style dishes and the Bamboo Room, a Polynesian-themed watering hole with a laid back vibe. Starting in February 2019, Navigator of the Seas departs from Miami to various Caribbean destinations, including Aruba, Grand Cayman, and Mexico. Weekend getaway routes will treat passengers to a stop at Royal Caribbean's private island in the Bahamas as part of its exclusive Perfect Day at CocoCay resort and theme park experience. Royal Caribbean ships are aimed at families with young children or teens as well as solo travelers and millennials who are interested in high-energy daytime adventures and sizzling nightlife. 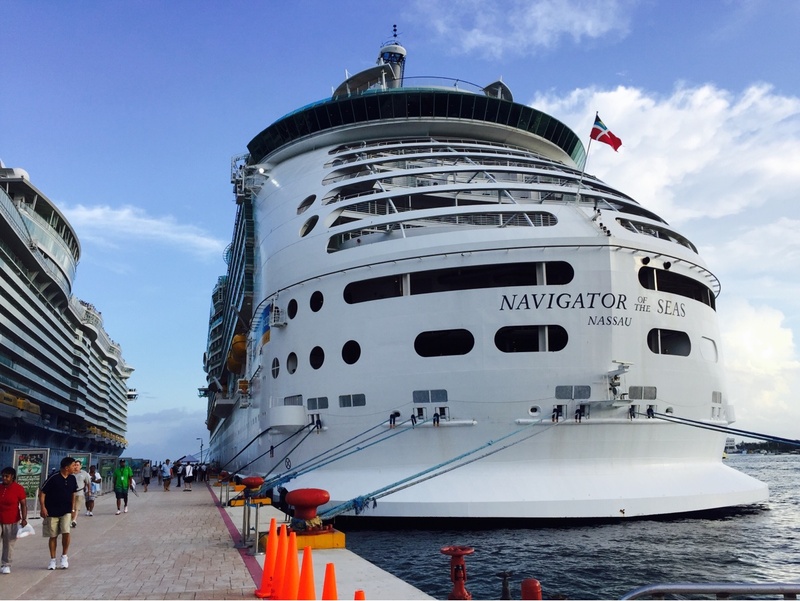 Navigator of the Seas’ size and family appeal tend to lead to large, high-energy crowds. 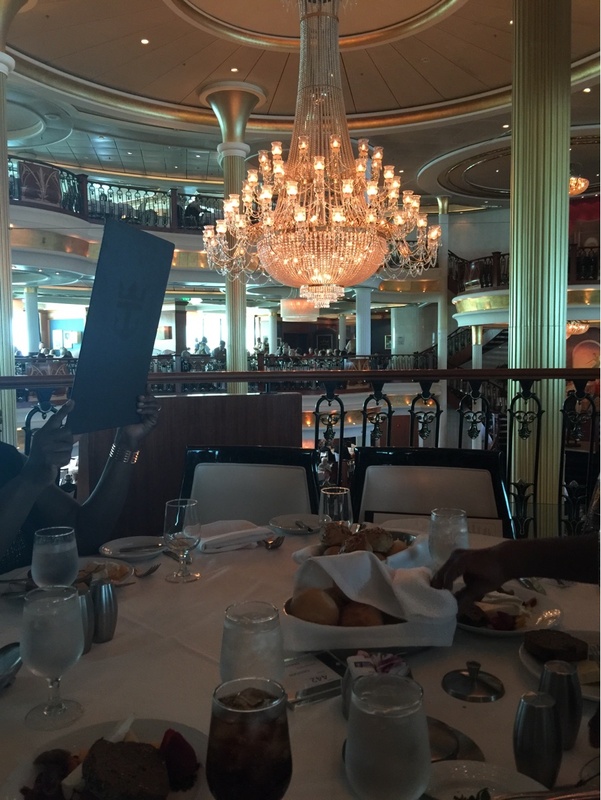 It’s not recommended for travelers seeking a more quiet, intimate cruising experience. 1644 cabins and 29 cabin categories. Bring a few extension cords. The room had only a few outlets. 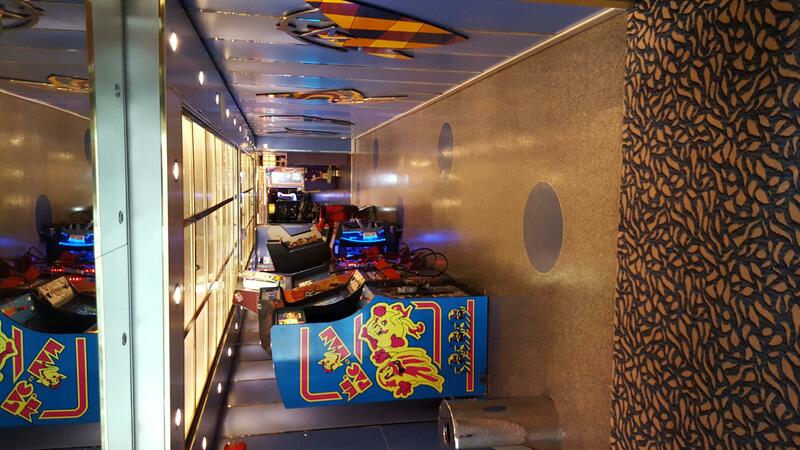 Take advantage of the free on-board activities such as trivia, the quest, and late night comedy.